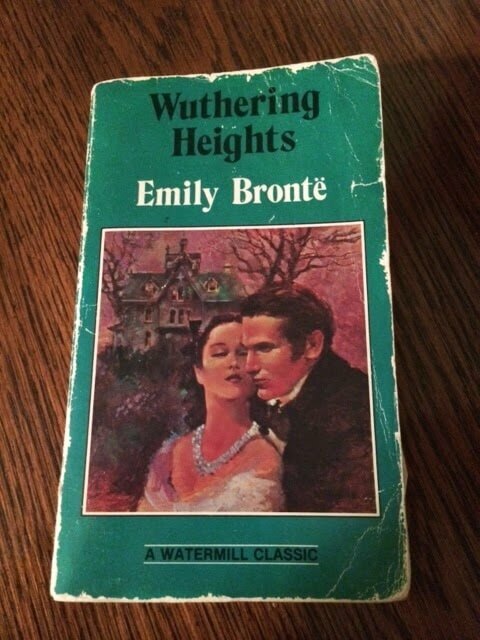 I sat curled up in my La-Z-Boy chair the other afternoon considering the ending of the classic book I had just finished – Wuthering Heights by Emily Bronte. Throughout the pages I had been held spellbound as Mrs Dean, the housekeeper, relayed the heartbreaking story of Heathcliff and the Earnshaw family. This love story was truly gut wrenching for more than one reason. The abandoned orphan, Heathcliff, was brought home to Wuthering Heights where he was met with much disdain. Eventually he and the young Catherine fell in love. It was the only real love he had ever known. My heart was torn when, in a twist of fate, Catherine rejected Heathcliff and married a rich neighbor, a man she didn’t love. The rest of the sad story relates Heathcliff’s undying, yet twisted, love as he seeks through devious ways to get revenge on Catherine and her heirs. This vengeful mindset carries him to the grave, dragging many ruined lives along with him. I couldn’t help but contrast this sad story to the true love story of the ages – God’s love for the world. We, like Heathcliff, were in dire straights because of our sin, but God had compassion and sent His only Son, Jesus, to rescue us and provide a new home for us. Despite God’s reaching out to us, we, like Catherine, have pursued other lovers. The desire for money, prestige and fame has caused us to forget about God’s great love for us and abandon Him. However, unlike Heathcliff’s hunger for revenge, God’s love is not one of vengeance, but one of restoration. His love carried Him to the grave – not to be reunited in death, but in new life brought on by His miraculous resurrection. He demonstrated this kind of love for us even when we didn’t deserve it. What kind of love is this? It is the true love of God. When we accept Christ into our lives, God pours His kind of love into our hearts through the Holy Spirit. This is the kind of love that does not seek revenge, but loves an enemy and prays for those who despitefully use you. His love is patient and kind. It is not jealous and does not act unbecomingly. It never seeks its own, but bears all things, believes all things, hopes all things, and endures all things. The love of God never fails! I wonder how the tale of Wuthering Heights would have ended if someone had shared God’s love with Heathcliff? His life, along with all the other tragic characters’ lives, would have been so much different. He could have known the joy of true love and passed that on to those around him. It’s too late for Heathcliff, but it’s not too late for us! Let’s allow the Holy Spirit to fill us with the love of God – a love that never disappoints and never fails – and let’s share it with those around us.